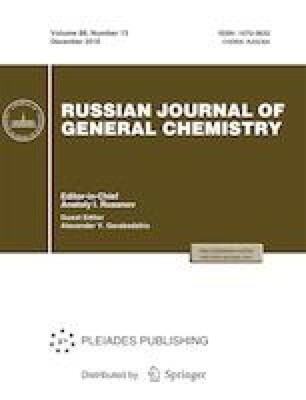 Oxidation processes in the sulfide component of the concentration located in the Dalnegorsk district were modeled in the range from–25 to 0°C. The modeling showed crystallization of the following minerals from the model solutions: hypergene Fe, Cu, Pb, Zn, Al, Mg, and Ca sulfate, arsenate, silicate, oxide, and hydroxide minerals at the tailing dumps of the Central concentrating mill and hypergene Fe, Pb, Sb, and Ca sulfate, carbonate, oxide, and hydroxide minerals at the tailing dumps of the Krasnorechensk concentrating mill. The concentrations of sulfide ore elements in the solution in the negative temperature range are much higher compared to those at positive temperatures. This takes place, because the most part of the solution passes to the solid phase (ice), and the volume of the liquid phase decreases. As a result, the hydrosphere of the district is experiencing severe anthropogenic impact from the elements of sulfide ores (S, Zn, Cu, Pb, Fe, Ag, As, and Sb) and their host rocks (Mg, K, Na, Ca, Si and Al). Original Russian Text © V.P. Zvereva, A.D. Pyatakov, 2018, published in Ekologicheskaya Khimiya, 2018, Vol. 27, No. 5, pp. 284–290.